With almost 125 years experience in boarding, TAS is a leader in residential education. 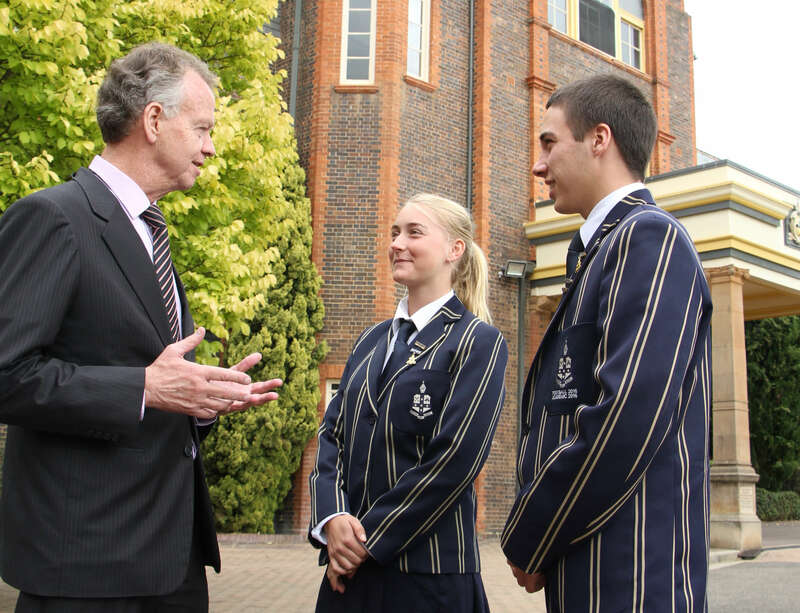 Almost half of our students in Middle and Senior School are boarders, giving the school a genuine residential culture that is the envy of many of our peers. Part of this is knowing how to embrace those intangibles that transform a place of residence into all the best aspects of home. Our various boarding houses offer quality residential care and are a ‘home away from home’ for student; a place where life-long friendships are forged and flourish. Our boys’ Middle School boarding house is home to around 70 boys between the ages of 11 and 14 years (Years 6 to 8), who enjoy dormitory style accommodation which they share with between four to eight others. Three senior boys’ boarding houses are specifically designed to accommodate approximately 50 students, or roughly 12 students in each year group. The accommodation varies between Houses, with some students in small shared bedrooms in Year 9 and 10 and separate study areas. Boys in Year 11 share a twin room while all students in Year 12 have their own study bedroom. The home for all girl boarders (Years 6-12) is a newly built boarding house that in 2018 welcomes its first residents. The modern, three-storey development caters for 64 boarders and three residential staff and is Stage One of a facility that will ultimately accommodate 130 students. Junior girls share quad rooms, with Year 11s generally in twin rooms while Year 12 girls have their own study bedroom, including king single bed. A generous common room and kitchenette on the ground floor is complemented by smaller, breakout spaces on all levels. Pastoral care in the boarding houses is lead by the Head of House or Housemistress, who are members of the school’s teaching staff. In each instance they are supported by a deputy and residential assistants. (In Middle School, a Housemother provides additional ‘motherly’ care).This also means that residential life provides excellent academic support for boarders. Weekend and evening in-house tutoring is offered by senior TAS teaching staff, and the school library is also open on weekends. The social and recreational program for boarders is developed around the interests of the boarders themselves. Inter-house competition, house sports, camping weekends and house social activities such as dinners all help to build house spirit and camaraderie. As part of our goal to become known for residential distinction, a facilities upgrade has included the refurbishment of all bathrooms in the school and boarding houses, which were completed in 2013. Bright, open and modern living spaces will remain a resource priority as we continue to adapt to the needs of boarders into the future.